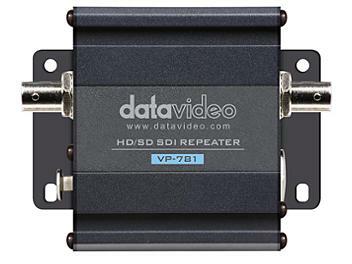 The VP-781 HD/SD-SDI Repeater with Intercom transmission is designed to cascade CB-50 cables which are connected between the Switcher and Cameras. The device's built-in HD/SD-SDI Repeater and Intercom audio pass-through are for signal transmission. Pairing VP-781 with VP-633 extends video transmission to 200 meters.